Following active duty, Bob spent three years working for a large government contractor. In the fall of 2006, Bob and a fellow Marine started their own company, Capriccio Software. Bob is the President/CEO and has lead the company through the sometimes rocky road of small business to where it is today. Capriccio provides high quality jobs to nearly thirty people. Bob has the unique perspective of knowing how it feels to have nearly thirty families depending on the success of a company you must lead. Bob, like most small business owners, believes his company’s success is only possible through the hard work and dedication of it’s employees. The company celebrates our success together with an annual trip to an amusement park. Bob and his wife Christi have been blessed with a large family. In his free time, Bob enjoys bodybuilding and especially mentoring friends and family, helping them better their lives through healthy living and fitness. Bob enjoys travelling around the country with his wife and their eight children in their motorhome and serving as a volunteer for the Stafford Senior High School “Tribe of Pride” Marching Band. Bob and his children have a flock of fifty Katahdin hair sheep. They enjoy caring for the sheep especially “Rocky” who was abandoned by his mother and has to be bottle fed. In 2011, Bob was elected to serve on the Stafford County Board of Supervisors for the George Washington District. In 2015 he was re-elected and served as Chairman of the Board in 2016. Bob served as President-Elect of the Virginia Association of Counties where he represented nearly all of Virginia’s counties in Richmond on important legislative issues. Thomas was elected to the Stafford County Board of Supervisors for the George Washington District in 2011, defeating Democrat Charles V. Latimer by a margin of 60%-39%. He won re-election unopposed in 2015. In March 2017, he announced his candidacy for the 28th district seat in the Virginia House of Delegates in the race to replace Speaker Bill Howell, who was retiring. Howell endorsed Thomas in the Republican primary. Thomas was opposed in the Republican primary by one current and one former Stafford County Board of Supervisors member; Thomas won the primary with 49% of the vote. In the general election, Thomas was opposed by Democrat Joshua Cole. On election night on November 7, 2017, unofficial election results showed Thomas had won the seat by a margin of 104 votes. Post-election canvassing shrunk the lead to 86 votes as of November 9. Cole’s campaign manager said they would likely seek a recount. Cole’s campaign and the Virginia House Democratic Caucus requested that the Stafford County Electoral Board count 55 absentee ballots that were not received by the electoral board until the morning after the deadline, but the board voted to disqualify the ballots, though they counted 40 of 50 provisional ballots. On November 14, the Stafford County Electoral Board certified the results, showing Thomas had won by 82 votes. The same day, the Cole campaign stated it had filed a lawsuit demanding that the ballots be counted, and additional challenges are possible. On November 17, a federal judge dismissed Cole’s lawsuit demanding the 55 absentee ballots be counted. On November 20, the state board of elections said at least 83 voters from the 28th district were incorrectly given ballots for the 88th district, and decided to delay certifying the results of the 28th district race, potentially allowing a court to step in. The following day, attorneys for House Republicans sent a letter threatening to sue the state board of elections over the delay, saying the appropriate course of action would be to certify the results to allow for a recount. The board found further “irregularities”, saying the number of voters who incorrectly cast ballots in the 28th and 88th district races was at least 147, opening the possibility that Cole could contest the election and ask the House of Delegates to order a new election. On November 27, the state board of elections finally certified the results, giving Thomas the victory, but on November 29, the Cole campaign filed for a recount. On December 7, attorneys for House Democrats petitioned a federal judge to order a new election due to the issues with the 147 voters. The recount began on December 21, and found that Thomas won by a margin of 73 votes. On January 5, a federal judge denied a request from Democrats to prevent Thomas from taking office while they made their case for calling a new election. The Democrats appealed that ruling to the Fourth Circuit Court of Appeals, but on January 10 a three judge panel unanimously denied the Democrats’ appeal, clearing the way for Thomas to be sworn in on the first day of the General Assembly session. If you have any questions for Bob Thomas, send them to Virginia onAir at virginia@onair.cc. 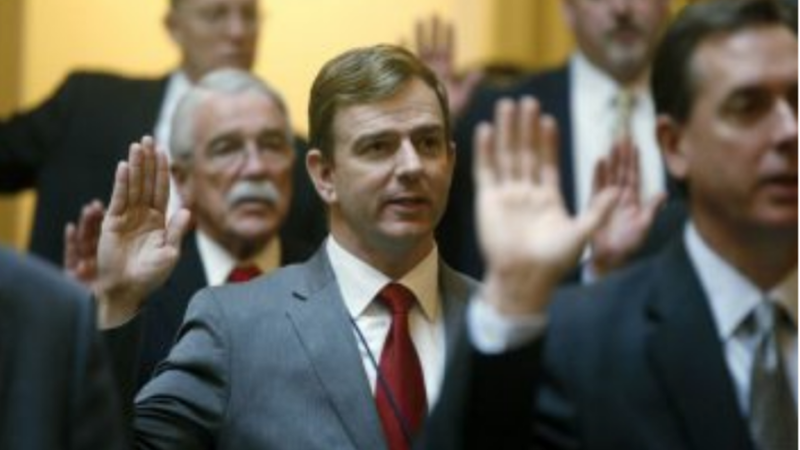 Virginia will first see if Bob Thomas has answered your question somewhere else. If they haven't, Virginia will pass on your question to Bob Thomas and post their answer, if they have one. If you have any suggestions for Bob Thomas, especially if you are a current or former constituent, send them to Virginia onAir at virginia@onair.cc. Virginia will record your suggestions here. If you have something positive to say about Bob Thomas and you are a Virginia onAir Hub member, send your recommendations to Virginia onAir at virginia@onair.cc. My name is Virginia onAir. I am the lead curator for this Bob Thomas post.